It's way more fun to support STF when you can bring your friends and family along. Here are some ideas to get you started. Ask for the gift everyone wants to give: Education. Host a fundraiser to support STF Scholars in the country of your choice. We’re a Facebook-approved cause, so it’s as easy as clicking the “Create Fundraiser” button. Our epic Tie-Dye Cupcake Bake-Off takes place in October every year. through a race or fitness event. Fundraise every day with your steps! 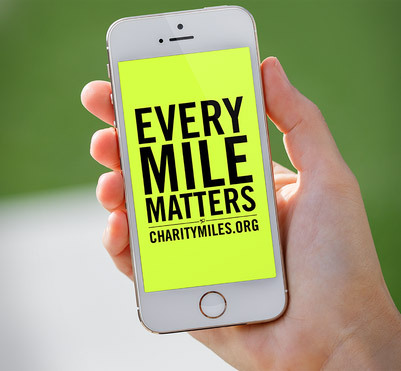 Download the Charity Miles app and every mile you log turns into a donation to She's the First, thanks to generous corporate sponsors. Users have raised $30,000+ so far! chance to fundraise for a gouda cause. or a pizza party, the options are brie-ly endless. but were too afraid to try? Challenge a friend to face their fears—and pledge to donate to STF when they do! (The possibilities are endless: Skydiving, getting a tattoo, public speaking, riding a roller coaster, etc.) Or, create your own challenge and pledge to complete it when your fundraising goal is met. Create your own fundraiser—the sky's the limit!